Now ladies and gentleman the Top 10 Lake Book countdown from Lake Fun. If you are like me, when you get a long day on the lake you like to find a serene cove on your favorite lake, cut the boat motor off, and open up the pages of your favorite book to catch up on some you time. After all spending some relaxing time finding yourself is what Lake Fun is all about. 10. Walk on Water. So you are on the water or want to find a new way to enjoy your favorite lake this summer. Why not learn how to paddleboard. Paddleboarding or SUP’ing is taking every lake by storm because of the health and mental benefits. Lake Fun is extremely partial to this particular paddleboarding book mainly because we feel that it is the top book on the subject of paddleboarding. Bold statement? Check it out yourself. 9. Lake Home. Design Budget and Estimate. So you have had your lake property for years. All you do is mow, pay property tax, and homeowner’s fees every year. Is it not time to start enjoying your lake real estate? This book is the most comprehensive guide available today on building your lake home and making sure that you start with a solid construction budget, floor plan, and full agreement from your building partner. If you own a piece of lake land and do not send the money to take a look at this book you are doing you and your family a major injustice. Take a look at Lake Home to help you turn your lake lot into Lake Fun. 8. Lake Fun Book. This book generally goes for under $5 books and is over 100 pages of all types of fun. Best of all you get a custom copy for any lake in the world. The weather will not cooperate every day on the lake and even if it does, then your kids probably will not. We like to keep a Lake Fun Book and pack of crayons in our dry bag just to give us something to tide us over when sitting around the campfire or just looking for something for the family to bridge our time during another lake camping trip. I would highly suggest taking a look at the Lake Fun Book today. 7. Lake Safety Book. We like to think here at Lake Fun that having fun on the lake is our top priority. Even though we may tell you that it is sometime, that is untrue. The most important thing for everyone, anytime you spend time on or near the water is keeping your family safe. Is there a better way to teach a child a lesson than sitting them down, spending 5 minutes with them, and reading them the lessons of lake safety? We love this book and actually would never let a child on our dock, lake property, lake home, or boat if they had not reviewed the essential lessons present in this book. This book is worth much more than the sticker price and the price you pay for not reading it to your young one could be much, much higher than just $7.00. 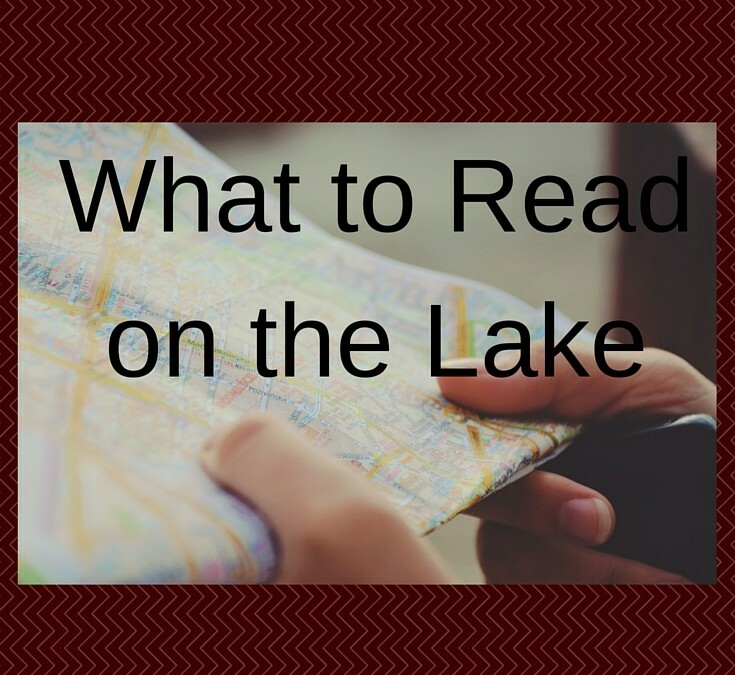 Take a look today at the Lake Safety Book or check it out from your local library. You will not be disappointed. 6. Jaw Dropping Geography. Worlds’s Largest Lakes. Some of the facts in this book are simply amazing. Do you want to see if your local lake has a claim to fame? Even if your local water is not listed in the book it is good to know what other lakes of the world are made of. This is one of my favorite WOW! 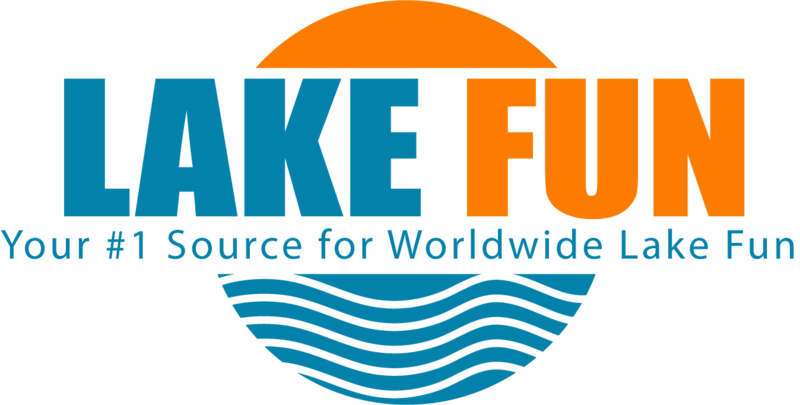 books that contains amazing info on the lakes that Lake Fun manages around the world. Some of the a lakes covered are Lake Superior, Lake Victoria, Lake Huron, Caspian Sea, Lake Arall, and the Dead Sea. Take a look today. 5. Rivers and Lakes of the World. This is a basic level lesson on what lakes actually are. How many people in your group of friends that you go on the lake with seem to have no clue? Grab a copy of this gem and let them know the what, why, when, and how of what lakes actually are. Lake Fun suggests this book for all people who love going on the water during the summer and primarily the youngest of lake users. 4. Water Skiing and Wakeboarding. There are plenty of apps, videos, and movies about being on the lake and breaking out your skiis and wakeboards. If you are like me you like to have a stand along guide that you can bring with you on your ski boat just incase you forget which foot goes forward on your wakeboard or which ski goes on your right foot, and which ski on your left. If you are a ski and wakeboard enthusiast and you love going out on the lake, I suggest this ski and wakeboard book to go in your lake cabin, boat dry bag, or the truck you use to pull your boat to the local ramp. 3. The Total Fishing Manual. This book is everything it says that it is. If you need a guide to show you everything you need to know about fishing from rods to knots, to what not to do while you are fishing. This is the perfect book to keep on the coffee table at your lake home or lake rental unit. This book literally does everything for you except launch the boat onto your favorite lake to get you ready to fish. 2. The Lake and Water Safety Coloring Book. This book contains over 20 lessons to teach your children about how to have fun on the water, but also stay safe. Ask any parent who has ever had a child drown if they wish they had spent more time reviewing lake safety with their child or had access to a resource like this. The resounding answer is, yes. This lake and water safety coloring book allows you to do a slow review of basic lake and water safety rule with your child BEFORE you go out on the water. Then you can take the pictures and hang them on your boat or the refrigerator in your lake home or lake rental unit. This is the top coloring book on lake safety we have found and we highly suggest you pick up a copy for around $5. The information contained in the Lake and Water safety coloring book is priceless. 1. Lake Vacation Super Coloring Book. So you just planned your summer lake vacation, spring break on the lake, or just a day on the water with your family to get away from it all. The Lake Vacation Super Coloring Book is everything you need to keep the family occupied with over 125 pages of awesome lake fun. This also includes a chapter of lake safety rules that you read to your family while on the way to the water and the amazing idea of a spot to write your own rules in the back. We keep a copy of this at our lake cabin on Douglas Lake and our top rule listed in the book is to “always have a copy of the Lake Vacation Super Coloring Book in your possession.” It really is that much fun and will give your family hours of enjoyment for around $5.